With the days of the calendar entering the year 2017, comes the promise of two new Pixar films. It will be only the second time that two feature films have been released by Pixar in the same year – the last time was in 2015, when Inside Out and The Good Dinosaur debuted. 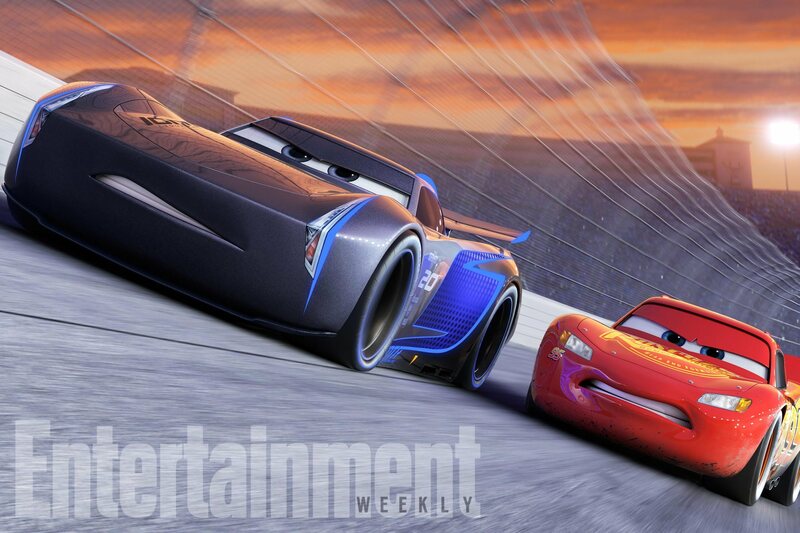 Cars 3 and Coco are set for release in the summer and fall of 2017, respectively. Cars 3 is up first, which means there will be plenty of photos, teases, trailers, and ads for the film headed your way imminently. Today, Pixar unveiled video close-ups of three of the characters that will appear in the film – watch them and get to know them better after the break! Jackson Storm is fast, sleek and ready to race. A frontrunner in the next generation of racers, Storm’s quiet confidence and cocky demeanor are off-putting but his unmatched speed threatens to redefine the sport. Trained on high-tech simulators that are programmed to perfect technique and maximize velocity, Jackson Storm is literally built to be unbeatable and he knows it. ©2016 Disney/Pixar. All Rights Reserved. Fee explains, “Jackson was born with a silver spoon in his mouth. Everything comes easy to him, and everything about him says he’s faster, so much so that we’ve designed him so that even when he’s standing next to McQueen, McQueen looks old.” Technologically, he’s lightyears ahead of Lightning, a legitimate reflection of the actual years that have passed in the real world since our introduction to the first Cars in 2006. Cruz Ramirez is a sunny-but-fierce unconventional trainer at the Rust-eze Racing Center. She expertly arms the team’s talented rookies with cutting-edge tools to tear up the track but she nearly stalls when her longtime idol Lightning McQueen shows up. While she’d love to help him find his way back to the top, she knows the competition is faster than ever, and victory is all about speed or is it? ©2016 Disney/Pixar. All Rights Reserved. Cruz may be on Jackson’s side of the age gap, but she’s on Lightning’s side of the conflict. As a lifelong fan of McQueen, she’s optimistic, sunny, fierce, and friendly — and now, she’s his new, younger coach, coming to Lightning’s aid with stars in her eyes when he shows up at the Rust-eze Racing Center. “Whereas others like Jackson would look at McQueen and dump him, Cruz isn’t like that at all. 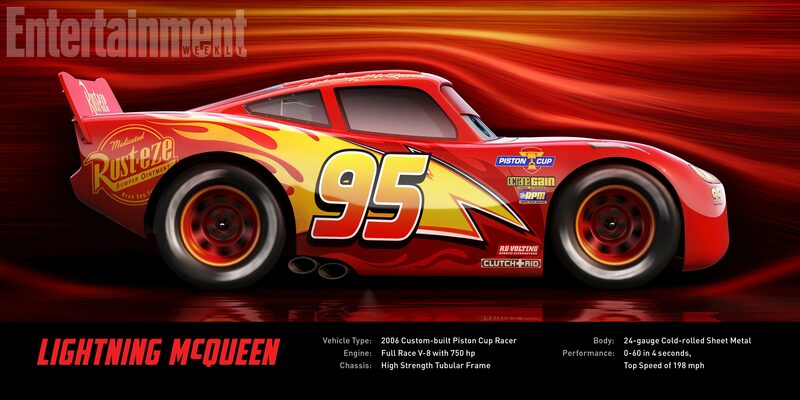 Lightning McQueen is world champion – a modern-day racing legend who’s riding high with five Piston-Cup wins under his hood. Suddenly, he finds himself faced with a new generation of racers who threaten not only his dominance in the sport but the confidence that got him there. Determined to get back to the pole position, the #95 must decide if his love for racing is enough to fuel the comeback of his life. ©2016 Disney/Pixar. All Rights Reserved. Fee and John Lasseter continue to emphasize the story of the film, with Fee calling it “the most human film in the franchise” and Lasseter saying the story is “very emotional”- all good news. 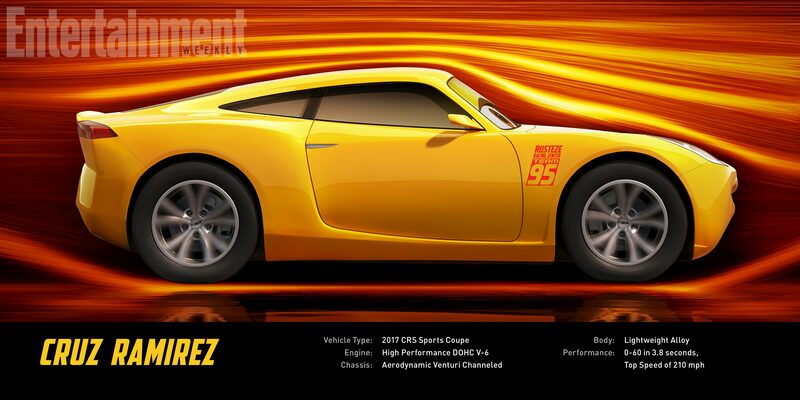 Cars 3 drives (that’s right – I went there) into theaters on June 16th.